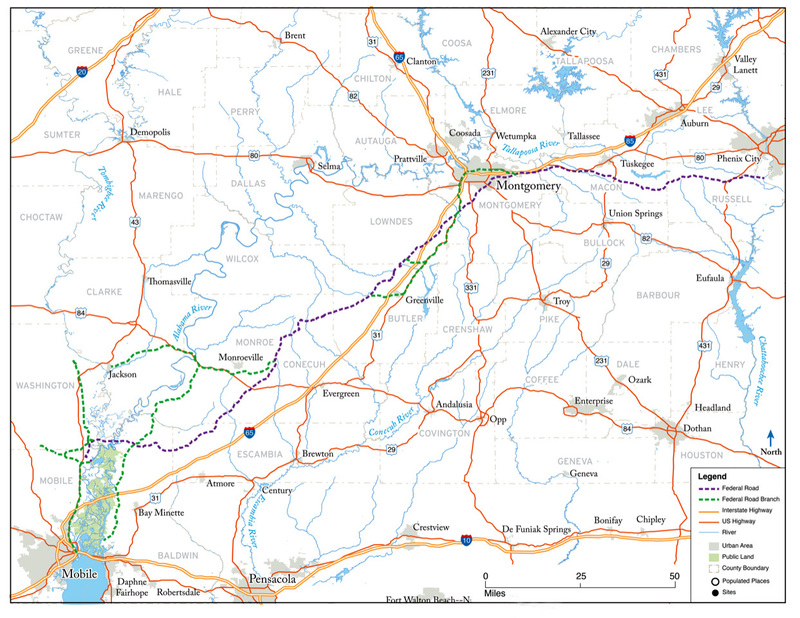 This map shows the route of the 1811 Federal Road through Alabama. Beginning in Milledgeville, Georgia, and ending in New Orleans, Louisiana, the road was constructed to provide ease of movement for federal troops in the lead-up to the War of 1812 between the United States and Great Britain. Courtesy of the University of Alabama Press. From The Old Federal Road in Alabama: an Illustrated Guide (2019) by Kathryn H. Braund, Gregory A. Waselkov, and Raven M. Christopher.